Fish oil, ingested either by eating fish or by taking a dietary supplement, is made up of the tissues from a variety of different fish, such as salmon, tuna, and anchovy. The tissues from these fish contain omega-3 fatty acids, which are not produced naturally by the fish but are rather absorbed by their tissue when they consume algae or other fish. 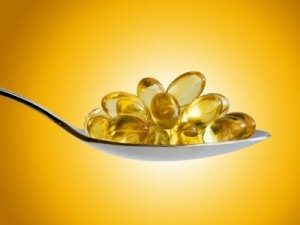 Fish oil, often packaged in a softgel form and sold over-the-counter, has been shown to have a number of health benefits. They can be found at most health food stores, as well as most major drug stores. Fish oil is generally taken in order to help reduce inflammation in the body, which has been linked to arthritis and chronic pain syndromes. Fish oil supplements have also been prescribed to treat depression, and are recommended as a preventative measure against Alzheimer’s, Parkinson’s, and cardiovascular diseases. However, while many studies have indicated that fish oil supplements can help protect the body against these ailments, the studies are not conclusive. Scientists and physicians are divided in their opinions of the actual efficiency of the drug. Cymbalta is a selective serotonin and norepinephrine reuptake inhibitor (SSNRI) which means that it is designed to balance the chemicals in the brain. The generic name of Aricept is Donepezil. Donepezil is among the cholinesterase blockers that work by restoring the total amount of natural compounds (neurotransmitters) in the human brain. Restasis is the brand name version of the generic medication cyclosporine; this medication is an immunosuppressive agent used to treat eye inflammation and the chronic dry eye condition that commonly occurs as a result of inflammation. Aleve belongs to a class of drugs known as NSAIDs—or Non-Steroidal Anti Inflammatory Drugs. Its purpose is to reduce swelling throughout the body, provide pain relief, and bring down fevers. Amitriptyline is a tricyclic antidepressant used to treat various types of depression and other illnesses.